How high can Dmart go????? Can it touch Rs 1000????? Hello friends. IPOs have once again gained charm and are attracting investors like a magnet. A recent history was made in the IPO world. The IPO of DMart hit the markets on 8th March 2017 and was listed on 21st March 2017. With a issue size of Approx Rs 1870 Crores the Issue was oversubscribed for more than a 100 times. Over Rs 2 Lakh Crores was pumped into this most expected offer. What’s more interesting is that it made history on the day of listing by doubling its investor’s wealth by more than a 100% from 299 Rs per share to around 630 levels. This is a feat no other IPO has ever achieved in the history of Indian Stock Markets. Rather lets as the million dollar question. Can it touch 1000 level? To answer this lets look into certain facts. The company operates more than 110 stores in 41 cities, which is increasing with every passing year. The biggest competitor for the company is Future retail which operates under the brand Big Bazaar. Now Big Bazaar operates more than 500 stores in India. Yet why does DMart command a higher valuation over not only Big Bazaar but in the entire retail industry in the world. One fact of the matter is that the company owns its stores as compared to other players. Which means it saves a lot of expense in the name of Rent. It also means that the company is not only in the business of retail but also in the business of real estate. 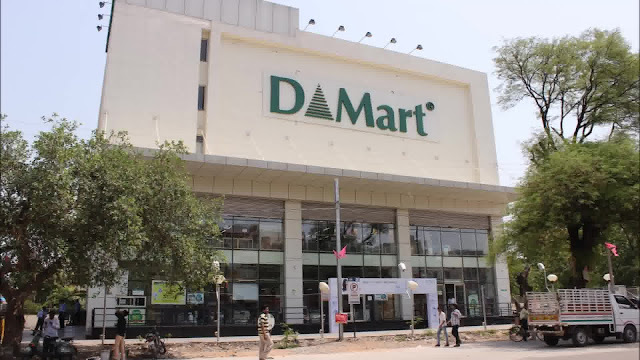 Another fact is that DMart actually has a higher inventory turnover ratio. 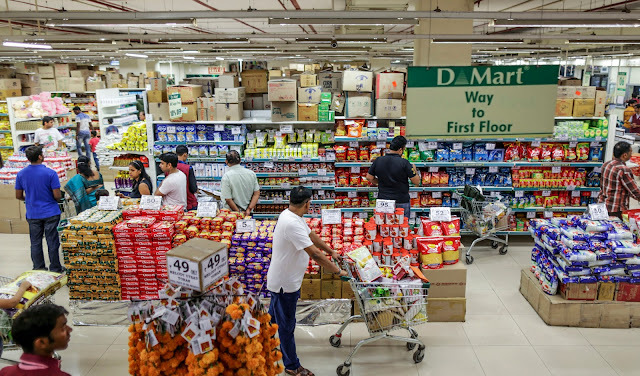 DMart’s inventory gets replenished every 26 days whereas Big Bazaars inventory takes 6 months. This obviously shows the level of footfall both the group has. The company in its DRHP has said that the object of the issue is repayment of loans and construction or purchase of new stores. The amount that they have set aside for repaying loan is Rs 1080 Crores and Rs 366.6 Crores for new stores over the next 3 years. This means that the company is trying to be completely independent in terms of funding which will help the company to avoid financial cost thereby boosting profits. Currently the finance cost of the company is approx 90.82 Crores. Avoiding this cost will give a big boost in the profits which shall improve the EPS and thereby valuations over the next 3 years. Further the amount set aside for purchase or construction of new stores will ensure the expansion of thereby bringing in additional income. Now the writing on the wall is very clear that the company is going to enter in the E-Commerce space. So companies like Big Basket and Grofers are in for a ride. The company’s subsidiary ‘Avenue E-Commerce Limited’ has not yet commenced operations and we are not sure about the business model it’s going to adopt. However we feel that traditional delivery systems may not be the way this company would operate. This company has already shown us that their business model is different as compared to traditional business methods. We would like to speculate that the company may enters into E-Commerce segment where customers may be placing the orders online and collecting the delivery from the nearby DMart store. This may not be the traditional approach but it surely appears to be more of a profitable model than providing door to door delivery. We will have to wait to see what the company plans out. Rest assured if the company becomes profitable in the E-Commerce segment, it shall blow its competitors out of the business at ease. Now coming back to the million dollar question, can DMart cross 1000 Rs. Looking at the financials we believe that over the next 3 years the revenue shall grow from 8588 Crores in 2015-16 to 12000 Crores in 2019-20 and Profit should raise from 321 Crores to Rs 500 Crores. With the current price being around Rs 650, achieving 1000 Rs doesn’t look difficult on the long run. However assuming the success of E-Commerce business, we feel the company would easily touch 1500 levels in a stable market scenario. Thanks for joining us. Have a nice day. Financial interest in the company is not greater than 0.1%. The author is not a research analyst. It already touched 1500 , what next ? still we can buy this stock ? This Stock has Tripled in past 2 years and is still a buy!!!! Hello Friends, The stock that we are going to talk about today is Cheviot CompanyLtd. A stock that was trading around Rs 350 levels in 2015 has has today reached Rs 1072 i.e it has tripled in 2 years. Moreover the technical charts of the company show that in the past 2 years the company has had a very steady growth. Cheviot Company Ltd is a company primarily engaged in the manufacturing and sale of Jute products. The company is based out of West Bengal which is the Jute hub of India. The company is lead by a 60 year old veteran Mr Harsh Vardhan Kanoria having 42 years of experience. So what is it that makes Cheviot Company so powerful? Why is this small cap stock so strong? We all have seen that PSUs don’t give good returns when compared to private companies in the form of capital returns. But what we all fail to see is that capital returns are not the only way of recovering your investment. PSUs are the front-runners when it comes to dividends. When it comes to PSUs, there is something About DIPAM you should know. We have explained about DIPAM guidelines on dividend in our earlier article on REC Ltd. There is a link below for the same. The company that we are gonna talk about today is NMDC Ltd. NMDC Ltd is a PSU that stands for National Mineral Development Corporation Ltd works in the business of mining. HDFC Life Insurance Company Ltd IPO..............Should you apply???? Another IPO, another insurance company. I guess India is offloading all its insurance company shares in the market. Today’s IPO to be discussed is HDFC Life Insurance Company Ltd. The company is promoted by Housing Development Finance Corporation Limited, Standard Life (Mauritius Holdings) 2006 Limited And Standard Life Aberdeen Plc. Lets first look at the basics.